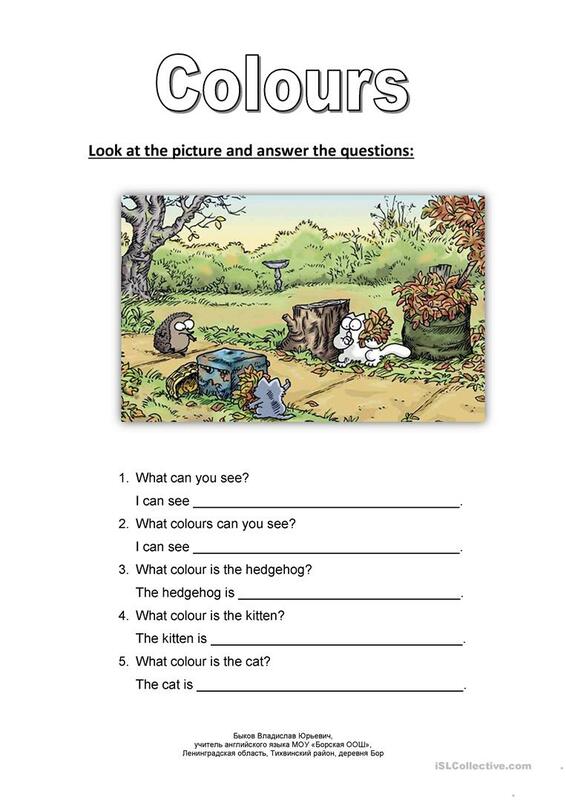 The students must look at the picture and answer the questions. This printable, downloadable handout is meant for elementary school students at Elementary (A1) level. It is focused on the theme of Colours.